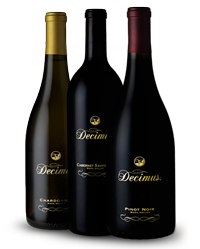 Stephen and his wife Allison are the co-founders of Decimus Wine. At Decimus, the mission is to produce and sell some of the world’s greatest wines and then take 10% of the revenue (A Tithe) and use it to provide clean drinking water to parts of the world in need. Click below to learn more about how you can turn wine into water. © 2018 Stephen C. Lewis. All Rights Reserved.